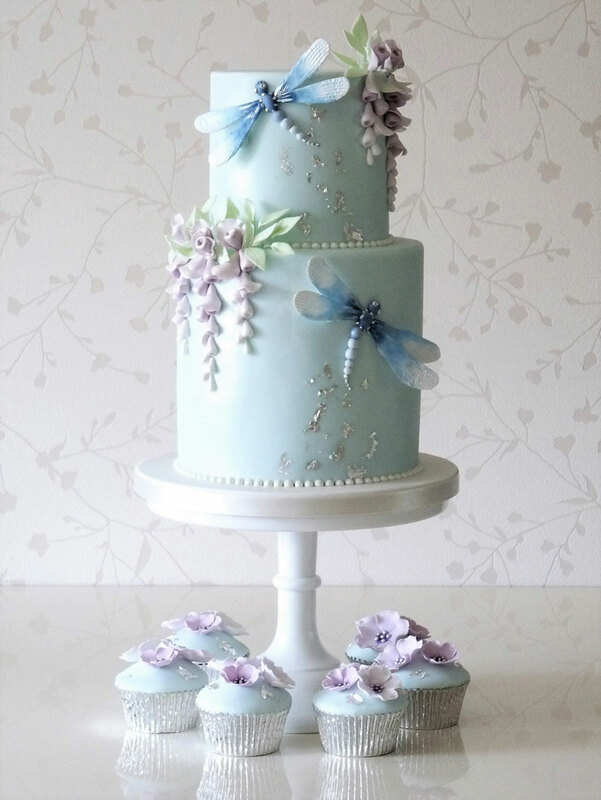 Rachelle’s specialises in creating gorgeous bespoke cakes for weddings, parties and special celebrations. 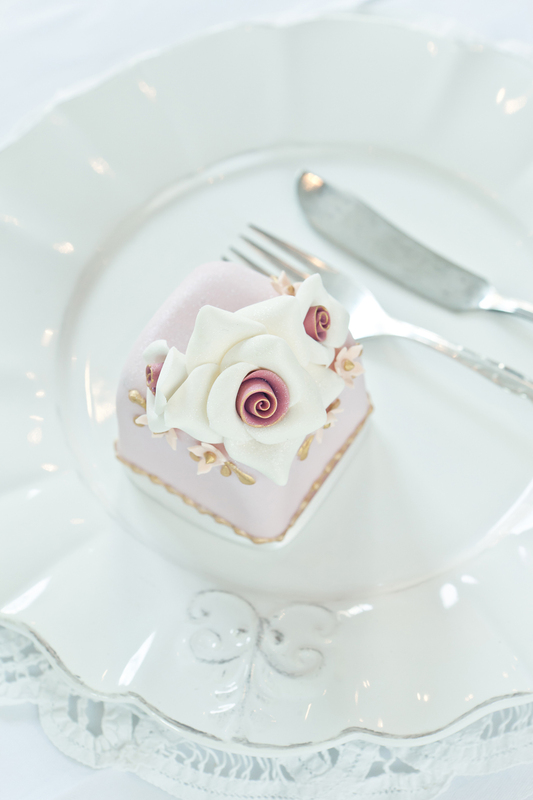 Every cake is unique, exquisite and custom designed. We work closely with every client thriving on our personal, friendly and attentive service. Taste is as important as style which is why only the finest and freshest ingredients are used. Your cake will be a feast for the eyes and the palate too. Our studio is based in South London with delivery available throughout the UK. 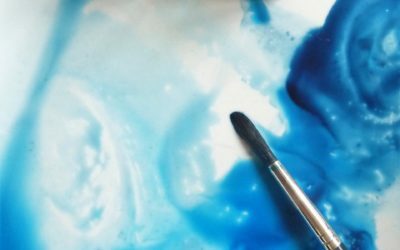 From consultation to delivery we aim to make your experience as stress free as possible. We are with you every step of the way to creating the cake you have always dreamed of. 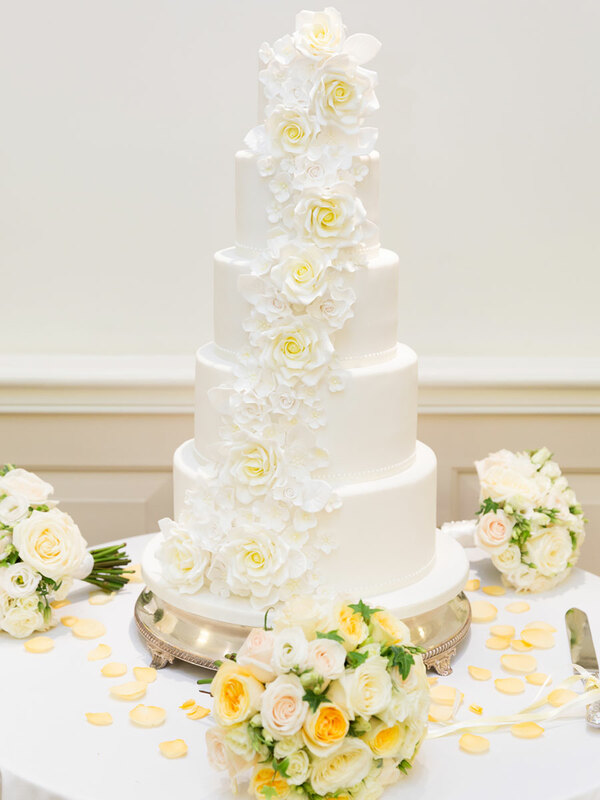 All of our wedding cakes are bespoke and made to order using fantastic ingredients and an exquisite attention to detail. 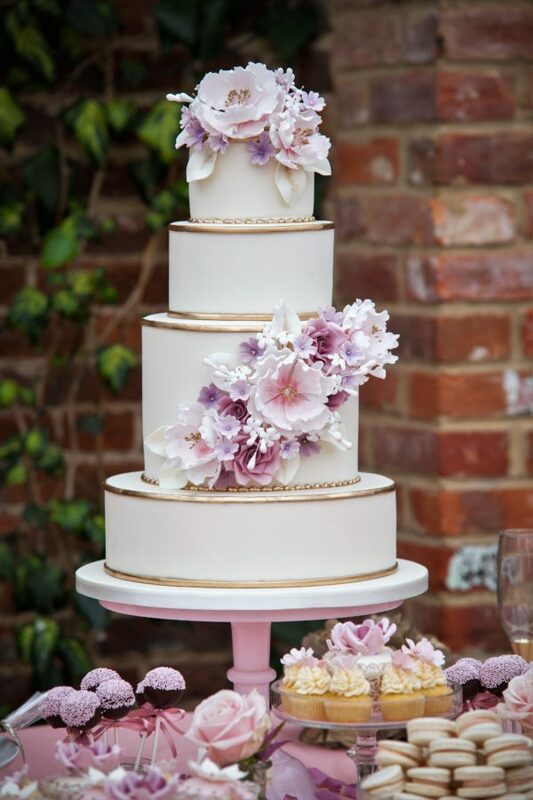 You can either choose directly from our online portfolio, change colours and flowers to suit your theme, or we can design a bespoke cake just for you. 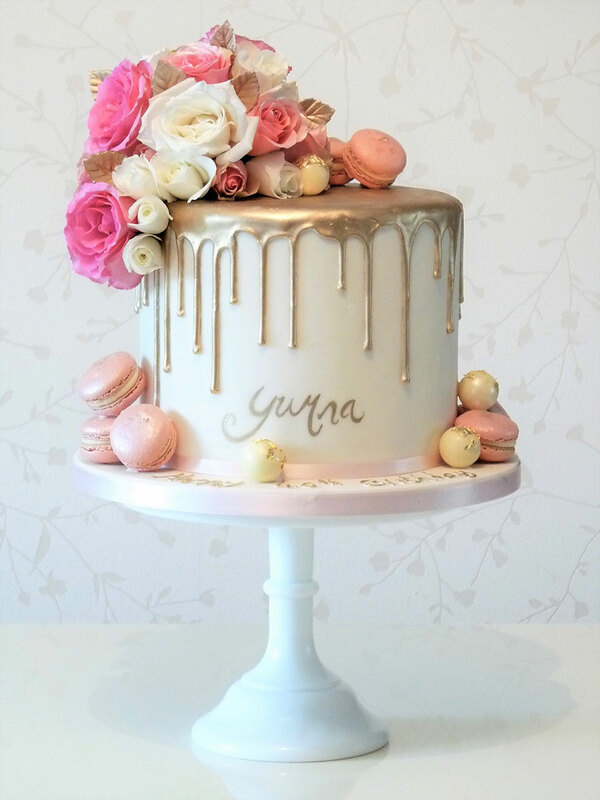 Birthdays, christenings and celebrations – a celebration needs a party and a party needs a cake, my inspiration will come from you and together we can design a stunning centrepiece for your special day. 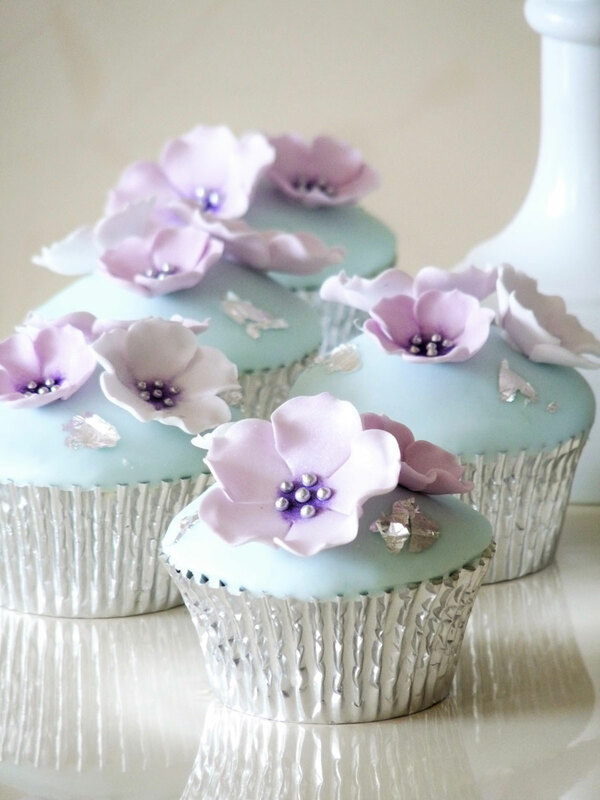 A selection of beautiful handcrafted cupcakes will make a stunning centrepiece at your event. 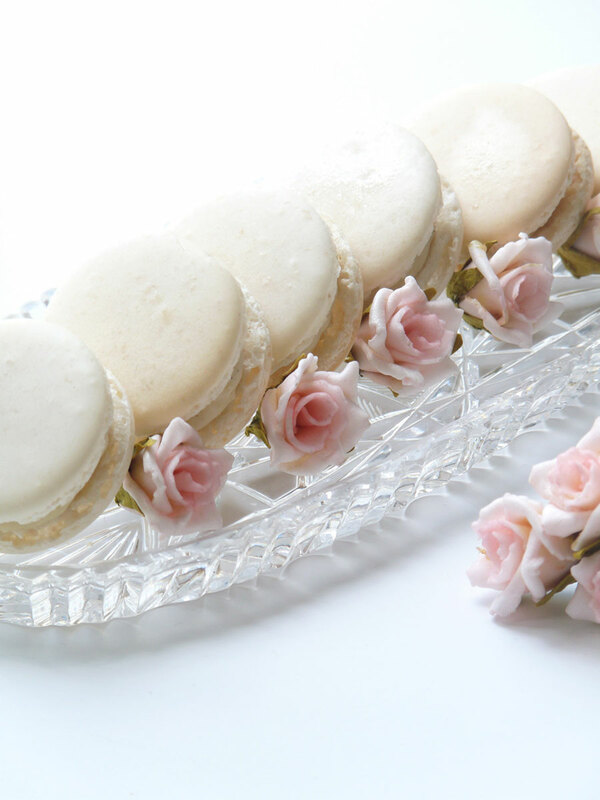 They can be used as place settings, to complement your Wedding cake or as a delightful gift. 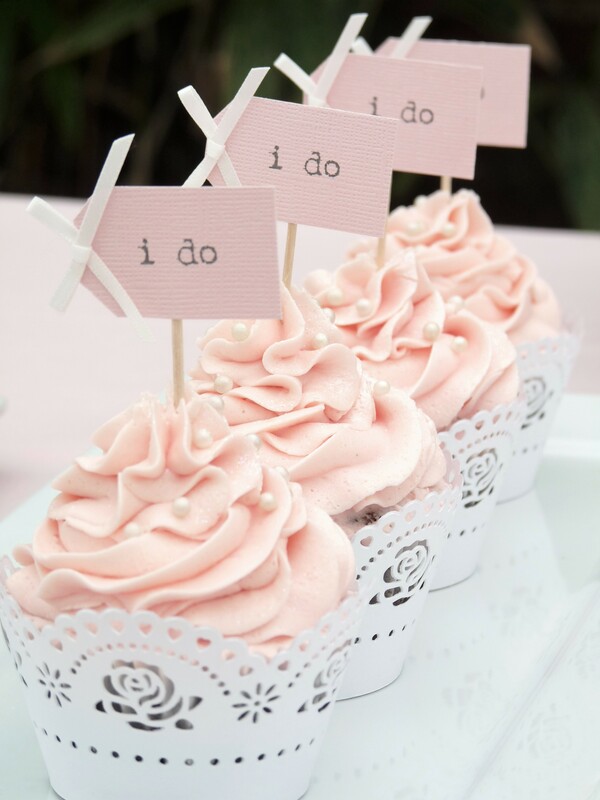 Our cupcakes are delicious, decadent and beautifully designed. 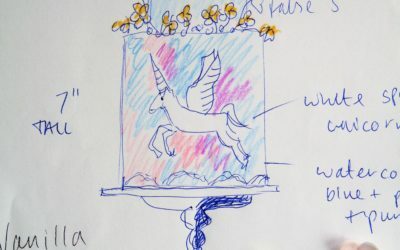 Choose from the gallery or we can design something bespoke just for you. 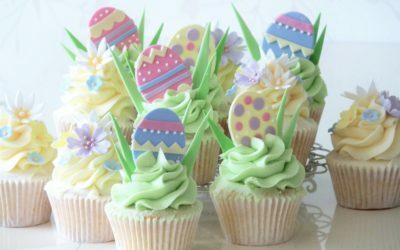 Minicakes are an unusual alternative to the cupcake or slice of cake. Individual portions of cake fully iced and decorated to create an exquisite confection, beautiful to the eye and delicious for the palate. They can be boxed individually or towered on one of our crystal clear acrylic stands to create a stunning display. At Rachelle’s we make a number of other tasty treats to complement your order. Cookies, macaron, meringue kisses, chocolate fancies, mini cupcakes and cake pops. 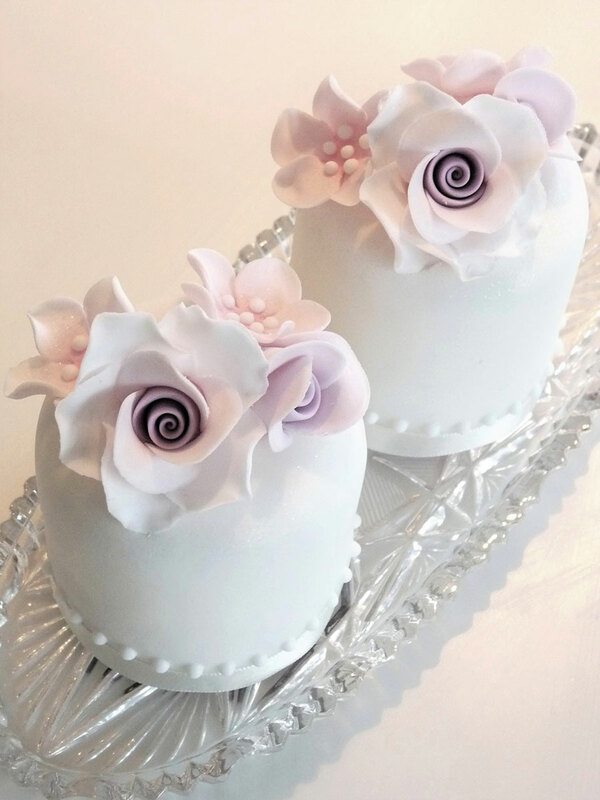 Items can be gift wrapped as wedding or party favours, or piled up in beautiful bowls and dishes to create an attractive display or dessert table. At Rachelle’s we strive to make your experience one you will remember from start to finish. 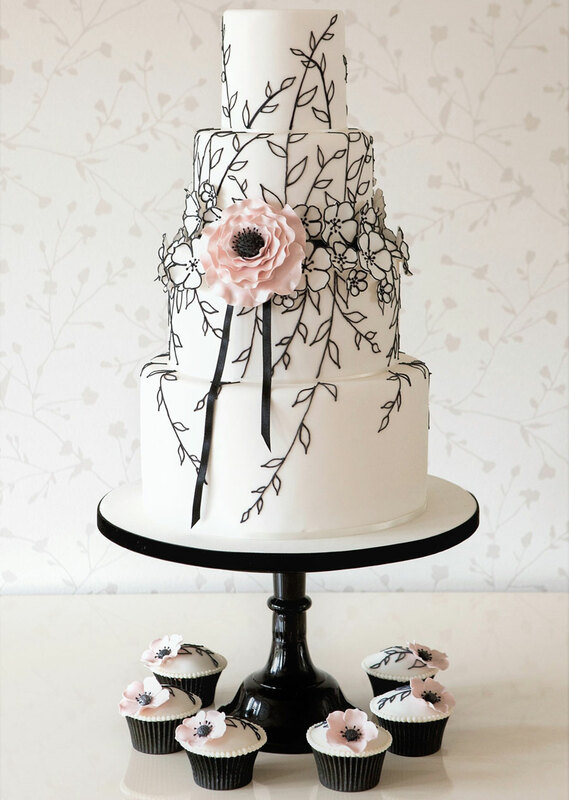 Our excellent client reviews will give you confidence that your cake will be the perfect centre-piece. 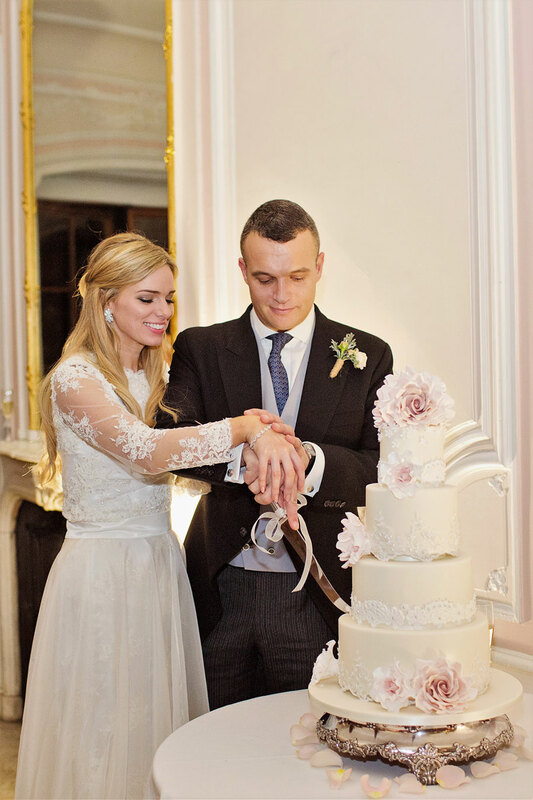 Please join our mailing list for all of our latest offers, seasonal cake and bridal discounts, classes and more.